PAY PER CLASS, PACKAGE OR MONTHLY! Monday, Thursday & Friday 7:30pm Bachata, 8:30pm Salsa Classes at 2980 Mcclintock way, Costa Mesa. Wednesdays 7:30pm Bachata 7:30pm, Salsa 8:30pm at 7115 Beach Blvd, Buena Park (inside The Golden Rose). No appointment needed. 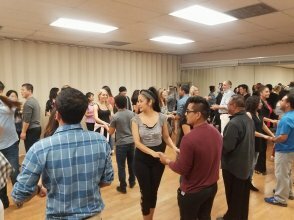 At OC Salsa each class is $15, 10 for $99 punch card or unlimited monthly classes for $119 that includes our monthly 3 hour dance boot camps and parties. Check out our weekly Beginner Salsa and Bachata class calendar. Everyone is very friendly. No appointment needed. Our program is geared towards those who never dance before. That is why we teach the basic steps and break down all moves in a way that is both fun, and doable while challenging at the same time. 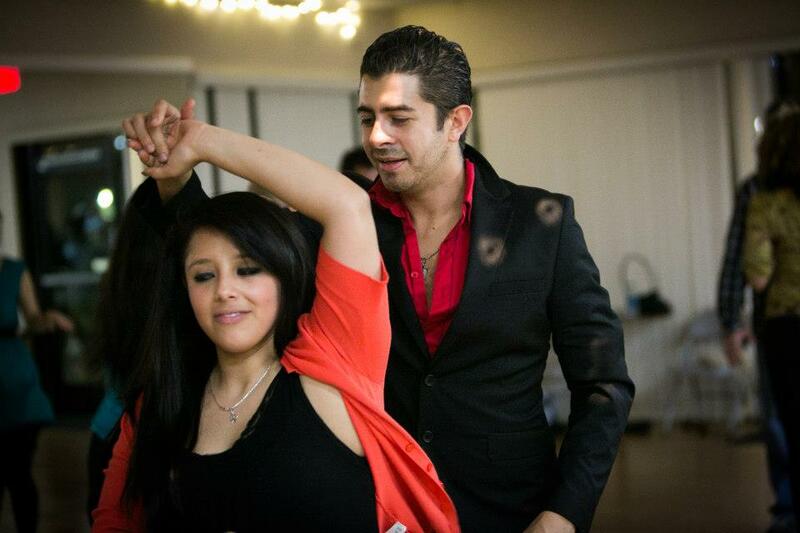 Check out master instructor Esteban teaching the basic step for Salsa. Yes, Sunday 4/28 5pm-8pm, you can learn how to dance Salsa in one day, no partner needed. Beginner Boot Camp! $45 at the door, $30 pre paid online. At 2980 Mcclintock way, Costa Mesa. Yeah!
" I have been taking group salsa and bachata classes from Esteban for about 6 months now. Previous to that, I was bouncing from studio to studio looking for the right atmosphere not only to learn to dance, but to socialize. Although the other studios also had capable instructors, what draws me to Esteban's classes is the warm group of frequenters that I have become friends with. There's always plenty of people to dance with, so it's fine if you show up on your own. Esteban, along with the other instructors who assist him, are patient, fun and witty! There's plenty of dance space and parking. They also setup lots of fun events, such as toy drives, parties, bar outings, dance cruises and dance teams! " "Esteban has been giving me private salsa lessons for a few months now and it's turned out to be so much more than just a pastime. He's the kind of teacher that becomes your friend, laughs with you, invites you out with the group to dance on the weekends ... and no matter what mood you walk into the studio with - he's set to make you feel great by the time you leave. He's flexible with scheduling, his prices are fair, and private lessons get you into the group classes for free (added bonus). I think good teachers of any kind (school, sport, dance, whatever...) are personally invested in their students, and that's what turns a hobby into a passion. I've always liked dancing, but I love salsa because of Esteban. If you're new/ shy/ scared/ unsure - just try it. First lesson is free anyway 😉 "
"OC Salsa has given me the chance not just to learn how to dance but also to meet great people! Esteban provides an amazing family environment. I'm happy to bring my young daughter to class because I know she learns positive things in a healthy environment! OC Salsa provides me with opportunities to have fun as I'm safe! Many of the people I have met through OC Salsa have become life lasting friends! I have to say that, at OC Salsa, I always feel welcomed." " I have taken beginner group salsa classes from Esteban. He accommodates the newbie (never danced before), beginner and intermediate levels. Great Instructor - learned a lot and had a lot of fun! There are many people to dance with so don't worry not having a partner." "I always wanted to learn how to salsa dance but didn't know the first thing to look for in a dance class. I took a chance and went to one of Esteban's classes and I am extremely happy I did! I began in April as a beginner in salsa and have moved up to intermediate level. Both his salsa and bachata group class structure are very welcoming to all levels and a partner is not needed. The atmosphere Esteban creates is what makes his instruction so enjoyable. He does a great job of combining the technical and artistic aspects of dance to create very engaging lessons. He is constantly putting together meetups at dance clubs, house parties, boat parties to make everyone feel comfortable dancing in social events. If you want to pick up a hobby or simply have some fun, I definitely recommend Esteban's dance classes! " "If you really want to get to know the dances of salsa and bachata this is your group! It creates a great confidence in oneself. It also builds on techniques and shines. It's an amazing workout and is always challenging. But the best part is the people that go really become your biggest supporters and can be some of your closest friends. Esteban is great at teaching the moves you'll really use on the dance floor. And his team of teachers always provide great techniques that only gets you to want more." "Esteban and his crew are fantastic. You won't find a friendlier and fun to be around dance group in Orange County / Los Angeles. He pays full attention to his students and makes sure that everyone is comfortable and learning properly. Kudos to Esteban." "Great environment !!!! Great energy!!! If you're serious about wanting to learn salsa and bachata THIS IS THE PLACE!!! Where do I start? Instructors make you feel welcome, comfortable and they're patient. Not only that, but you can also stay after class and practice what you learned and no one judges and/or makes fun of you. They make you feel like family and other students are really nice too. And, at the end of the class you're stress free. Can you say this about other classes?" 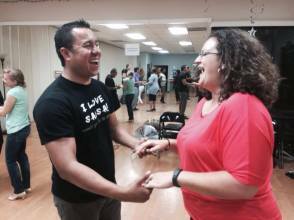 "It was a great place for beginning salsa learner like myself. Esteban introduced himself and Heather taught my beginner class. She was more than patient with all of us and had a great energy about her. Definitely coming back for more lessons!" "I have been taking Esteban's classes for a month now and feel compelled to leave a review. I've been to other instructors and classes before and I can tell you Esteban, his instructors and his classes are in a class of their own. Not only will you have a great time learning how to dance but you'll meet many friendly people of all ages, from 18-50+. My first class Esteban actually took me around and introduced me to other students, not to mention the class was full with about 60 students! And even though the classes are filled with enthusiastic students, you still get great attention and instruction. Besides everything mentioned above, Esteban's student membership is the best deal in town!! I highly recommend this place! " "I have always loved latin music and wished I could dance. 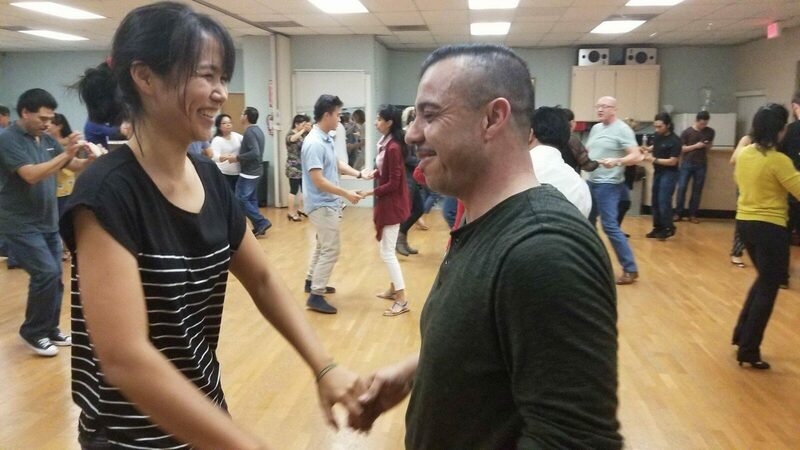 Deciding to give it a try, i tried a free class with Esteban and crew at OC SALSA. What a pleasant surprise to feel so comfortable and welcome with a group I didn't know, doing something I had never done. It was fun, great exercise, and I couldn't wait for the next session. I was hooked because the instructors and atmosphere make it so easy to learn, you get plenty of personal attention, and can learn at your own pace. Nice people, high quality instruction, and very reasonable cost. If you want to try, improve, or perfect latin dance, this is the place for you!"